Former Northern Territory Parliament sergeant-at-arms Ben Harris has sued the Department of Legislative Assembly for lost wages and medical expenses, claiming he was bullied by clerk Michael Tatham. Mr Harris, a former ADF member who served in Afghanistan, testified in Darwin Local Court on Monday that Mr Tatham mocked his post-traumatic stress disorder diagnosis, after returning from two days of sick leave in 2016. “He was angry and slammed his hand on the desk, said I was playing him for a fool and that there was nothing wrong with me and that I should think about my position,” Mr Harris testified. Mr Harris added that the exchange made him feel “pretty terrible, considering I had just come back from sick leave”. That sick leave was to attend to a friend Mr Harris had served with in Afghanistan who had attempted suicide. Mr Harris said upon returning from leave, he was demoted from a senior management role in the Department of the Legislative Assembly (DLA) to moving boxes from office to office and counting light bulbs on a daily basis. He said projects were constantly changed without any consideration for a desired outcome and unqualified staffers were tasked with duties above their level of competence. “I took his [Michael Tatham’s] conduct personally,” he said. Upon his return from leave, Mr Harris had letters of discipline drafted against him. “It was pretty terrible,” he said. “I was beside myself. It didn’t make sense. Mr Harris said the frustration boiled over one day when he “vented” to a work colleague. The next day, on April 5, 2016, Mr Harris was suspended with pay. That suspension was extended for almost a year, until Speaker Kezia Purick withdrew pay in March 2017, but continued the suspension, which meant Mr Harris could not transfer to another department. It was at this time that Ms Purick told him they were filling his position despite numerous workplace issues remaining unresolved. According to NT Government policies, the Office of the Public Employment Commissioner has no authority in employment issues arising from the DLA, which is governed by Ms Purick and Mr Tatham. Mr Harris said he approached the commissioner’s office but was told they had no jurisdiction to intervene. Mr Harris testified that he was depressed at this time and developed a “serious drinking problem”. During cross-examination by NT Government counsel Tom Anderson SC, Mr Harris refuted claims that he had asked for special treatment. “I had asked for some understanding and some patience,” he said. Mr Harris admitted to being an “angry person” but that he had developed ways for coping with it. “He [Mr Tatham] makes me particularly angry a lot of the time,” Mr Harris said. 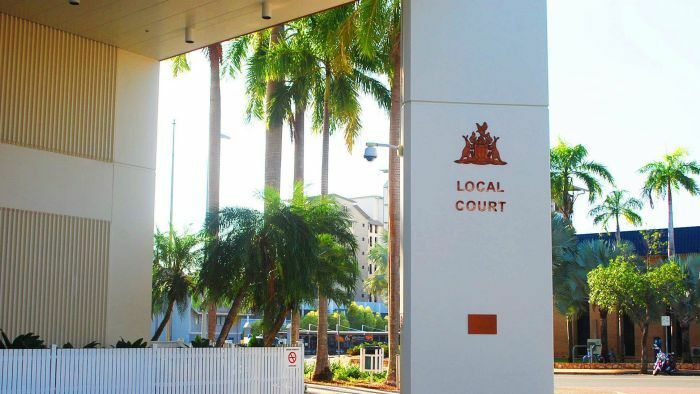 Counsel for Mr Harris, Myles Crawley SC, said his client was suing for loss of wages from being on an SA02 salary package at $147,000 per annum as sergeant-at-arms that was reduced after the DLA finally transferred him to a job in the NT Police service in November 2017, where he was paid less.